Our standing in this sector is of the highest in the region due to the quality of our study material, the competency of our instructors and the international alliances we’ve built with renowned international organizations such as IACVS, CFA institute, Kaplan Schweser, GARP, Schweser Institute and other similar entities for whom we act as exclusive providers in the MENA and GCC regions. IFA, The institute for financial analysts is a firm specialized in preparatory courses and seminars for professional designations such as the Chartered Financial Analyst (CFA®), International Certified Valuation Specialist (ICVS®), Certificate of Financial Modeling (CAFM®), Certified Financial Statements Analyst (CFSA®), the Financial Risk Manager (FRM®), Junior Investment Analyst (JIA®) and Islamic Finance Qualification (IFQ) programs. The multitude of review courses are offered by IFA in Kuwait, Saudi Arabia, United Arab Emirates, Qatar, Bahrain, Jordan and Cairo and have been expanding at an impressive rate. The success of our candidates is unsurpassed in Lebanon and this is what got us the reputation of being the undisputed leader in CFA® Program review courses in Lebanon, with more than double the pass rate of the competition. Our seminars cover a wide range of subjects including Financial Modeling, Private Banking, Corporate Restructuring, Credit Risk Measurement and Management, Market Risk Measurement and Management and Operational Risk Measurement and Management, Specialized Valuation courses (Real Estate Ventures or Oil and Petrochemical), etc. Mission: IFA’s board of advisors aims at guiding the Institute towards financial educational excellence. It continues to identify internationally recognized financial certificates and guides in the development of training programs that nurture the skills of students and professionals and upgrade their competencies in view of market requirements. The board promotes superior quality in all aspects of the learning and skill development process from access to material, teaching excellence, and continuous support and leading to unmatched success rates. Dr. Assem Safieddine: Dr. Safieddine is the Rami Makhzoumi Chaired professor of Corporate Governance at the Olayan School of Business at the American University of Beirut (AUB). He served as the associate dean for faculty affairs and academic programs and as an associate dean for graduate programs and the director of the Corporate Governance Program for years. He has served as a member of the board’s corporate governance committee of Al Hilal Bank. He is the founding president of the Lebanese CFA Society and the regional director of the Global Association of Risk Professionals and the president of the Lebanese Risk Management Society. He served as a member of the CFA Institute speaker retainer program and has been invited to speak on Corporate Governance and other topics at investment firms worldwide. He holds a Ph.D. in finance from Boston College, and has held faculty appointment at Michigan State University for five years and visiting faculty appointment at Harvard University Summer School for more than four years. His research has been published in leading finance journals like the Journal of Finance, Journal of Financial Economics, and the Journal of Financial and Quantitative Analysis, and has been profiled in the Business Week, Harvard Business Review, CFA Digest and the National Bureau of Economic Research along with others. He has authored as well four case studies covering the governance practices of leading firms in the Middle East and which were published by the Richard Ivey School of Business. His area of research is risk management, capital acquisition, mergers and acquisition, money management, and corporate governance. Dr. Sheridan Titman: Dr. Titman was the President of the American Finance Association (AFA) for 2012. He holds the McAllister Centennial Chair in Financial Services Center for Energy Finance at the University of Texas and is a research associate of the National Bureau of Economic Research. Professor Titman has a Ph.D. from Carnegie Mellon University and has taught and served in key positions at UCLA and Boston College. Professor Titman is a leading expert in investments, corporate finance, valuation, and real estate. He has published numerous articles on investments and corporate finance and energy. In addition to his leading advanced corporate finance textbook entitled “Financial Markets and Corporate Strategy”, he coauthored two books on valuation capitalizing on his profound professional and consultancy experience and covering complex sophisticated considerations and techniques (strategic analysis and real options, value of flexibility, irrational behavior and risk management, etc.). He has taught valuation in the special setting of large-scale investments in power plants, refineries, oil and gas development projects and electric power companies. He served as special assistant to the Assistant Secretary of the Treasury for Economic Policy where he analyzed proposed legislation related to the stock and futures markets, corporate takeovers and leveraged buyouts. Professor Titman was granted a number of prestigious awards including the Fischer Black Prize, Morgan Stanley-American Finance Association Award, Smith Breeden Prize, Jensen Prize, Fama-DFA Prize, Michael Brennan Award, among many others. Dr. Scott Gibson: Dr. Gibson is an Associate Professor of Finance at the College of William and Mary Mason School of Business. He previously held academic appointments at Cornell University and the University of Minnesota. He holds a B.S. and Ph.D. in Finance from Boston College. Prior to his academic career, he worked as an analyst with Fidelity Investments and as a credit team leader serving a Fortune 500 clientele with HSBC Bank. His consulting activities include serving as an expert witness on issues related to the mutual fund industry, providing valuation expertise for mergers and acquisitions, and developing quantitative targeting models that detail compatibility between securities issuers and institutional investors. His current research interests include institutional investor trading strategies and their relation to stock and bond returns and conflicts of interest in the delegated portfolio management industry. His research published in leading journals has been featured in the financial press, including the Wall Street Journal, Financial Times, New York Times, Barons, Business Week, and Bloomberg. 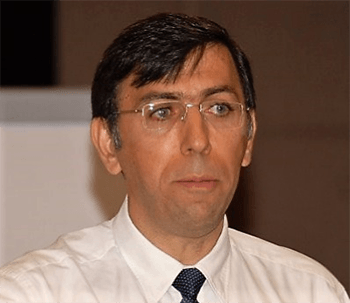 Dr. Assem Safieddine, PhD, FRM, ICVS; is the Rami Makhzoumi Chaired professor of Corporate Governance at the Olayan School of Business at the American University of Beirut (AUB). He served as the associate dean for faculty affairs and academic programs and as an associate dean for graduate programs and the director of the Corporate Governance Program for years. He is serving as a member of the board’s corporate governance committee of Al Hilal Bank. He is the founding president of the Lebanese CFA Society and the regional director of the Global Association of Risk Professionals and the president of the Lebanese Risk Management Society. He served as a member of the CFA Institute speaker retainer program and has been invited to speak on Corporate Governance and other topics at investment firms worldwide. 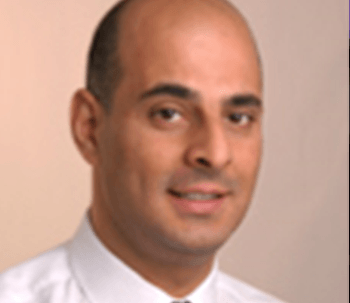 Dr. Samer Khalil, PhD, ICVS: Associate professor of Accountancy and Chairman of the Finance, Accounting, and Managerial Economics department at the He received his PhD from Concordia University, Montreal, in 2005. He taught one year at HEC, Montreal, before joining the American University of Beirut in September 2006 where he lectures on accounting and business valuation related issues at the under-graduate, graduate, and executive MBA level. Dr. Khalil also participated in various executive training in Lebanon and the Middle East. He has published various paper related to mergers and acquisitions, corporate governance, in addition to auditing has Been published in reputable journals including Auditing, Accounting Horizons, and the Journal of Business Finance and Accounting. Mr. Khaled Abdel Samad is a Financial Risk Manager®(FRM®). He holds an MBA with Distinction from the Lebanese American University. He is currently serving as the Head of the Credit Risk Department and Basel II Project Manager at Lebanon and Gulf Bank. In addition to being a faculty member at IFA for more than five years, Mr. Abdel Samad has been teaching advanced finance and risk management courses at leading universities such as the American University of Beirut (AUB) and the Lebanese American University (LAU). 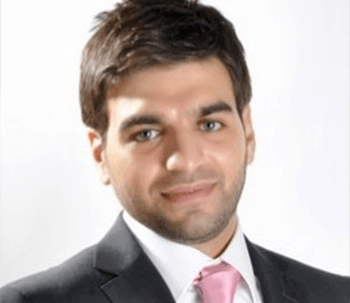 Mr. Ali Zgheib, CFA, ICVS; is a senior associate at CFH an investment bank based in Beirut with offices in Dubai. Mr. Zgheib has more than 10 years of experience and has been involved in several mergers and acquisitions transactions, private placements, debt restructuring and real estate financing transactions in the MENA region and Europe. Mr. Zgheib has BBA degree with distinction from the American university of Beirut and is CFA charter holder and ICVS charter holder and a member of the international association of analysts, valuators and consultants. Mr. Zgheib has been teaching CFA courses Level I & II since 2013. Mr. Patrick Bou Saada, CFA; enjoys an extensive and diversified experience with focus on Wealth Management. He is currently Head of Division at the Capital Markets Authority – CMA. Prior joining CMA, Patrick spent 9 years at HSBC Bank Middle East in Lebanon. He was an Investment Manager, managing on advisory basis a sizable portfolio of high net worth individuals. Patrick is a Chartered Financial Analyst – CFA since September 2013, and holds a BA and DESS in Accounting and Finance from the Lebanese University. Patrick is an instructor at the Institute of Financial Analysts, teaching CFA level 2 and 3 courses with a focus on financial statements analysis, risk management and asset allocation topics. Mr. Nizar Najem ,CFA; is a Chartered Financial Analyst with a Master degree in Banking and Finance from Saint Joseph University. The nature of his degrees built his knowledge and prepared him for the field of finance and banking where he is currently putting theory into practice. He has been an employee in the Lebanese banking industry for 11 years. 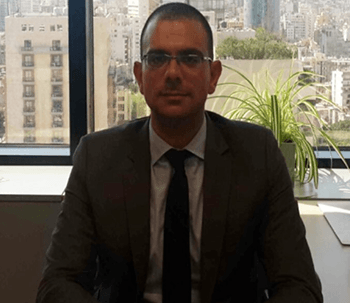 He is currently a Relationship Manager in the Financial Institution Department at Byblos Bank SAL, where he handles financial institutions in several countries with a sizable portfolio. Besides his banking experience, he is teaching CFA level 3 courses at the Institute of Financial Analysts, focusing on Capital Market Expectation, Equity and Fixed Income topics. 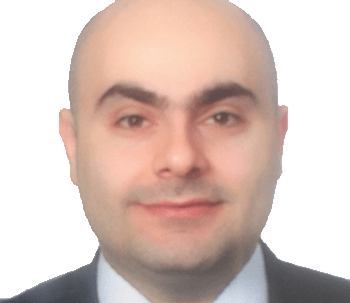 Mr. Jack Bilalian, CFA is a Chartered Financial Analyst with a Bachelor in Business Administration degree from the American University of Beirut (AUB). He has acquired solid Risk Management expertise for 10+ years at various renowned banks in Lebanon, specifically in the field of Market Risk Management. Currently, Mr. Bilalian holds the “Head of Market Risk” position at Lebanon & Gulf Bank SAL. In addition to his banking experience, he is also a CFA and FRM program instructor at IFA for all levels, with a focus on Fixed Income, Quantitative Analysis, and Risk Management topics. Mohammed has been working at the Capital Markets Authority in Lebanon for more than 2 years. 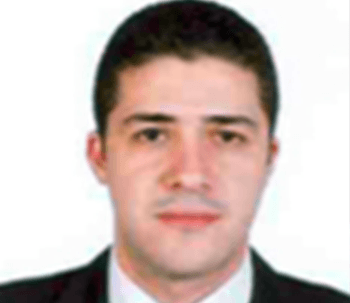 He worked in several companies, based in Amman, Beirut and Jeddah where his experience ranges from regulatory and supervisory activities for financial entities, financial consulting, corporate finance, investment banking and private banking.He had exposure to different sectors including Real estate, Water bottling and export, Newspaper publications, Automotive, Real Estate and Food Processing. He is a CFA charterholder since September 2017, holds a Masters degree in Money Banking and Finance from University of Birmingham and a Bachelor in Business Administration from the American University of Beirut. Mohammed is an instructor at the Institute of Financial Analysts, teaching Ethical and Professional Standards for CFA level 1, 2 and 3 Program candidates and teaching Global Investment Performance Standards for CFA level 3 Program candidates. 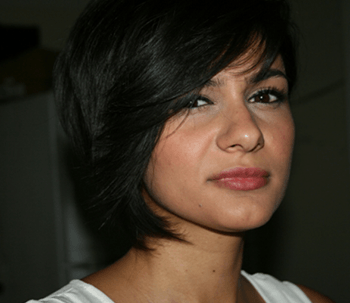 Mrs Layal El Sabeh; holds a bachelor degree in Business Administration Systems from the Arab Open University. 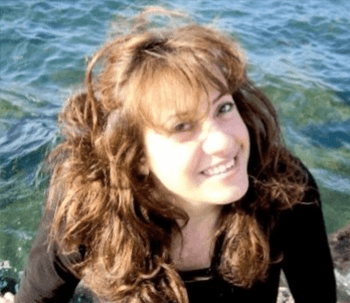 Mrs. El Sabeh has been with IFA since August 2007, since then Mrs. EL Sabeh has showed dedication and commitment to IFA and thus is considered a major part of IFA. Mrs. EL Sabeh is the program coordinator and executive Assistant at IFA, she handles all the office work and is responsible for all coordination with IFA’s partners inside and outside Lebanon. Mrs. Layal handles all of schweser orders and oversees the dispatchment of all orders throughout the Middle East … Prior to her joining IFA, Mrs EL Sabeh have had an extensive experience in the Hotel Management Field. Miss Zeina Barakat; is the “unknown soldier” at the IFA. Providing ongoing technical and logistical support to IFA students and staff members, she plays a key role in maintaining and running the day to day operations of the institute and its courses. Known for her dedication, calmness and high ethics, Miss Barakat has gained the respect and esteem of both staff members and students.